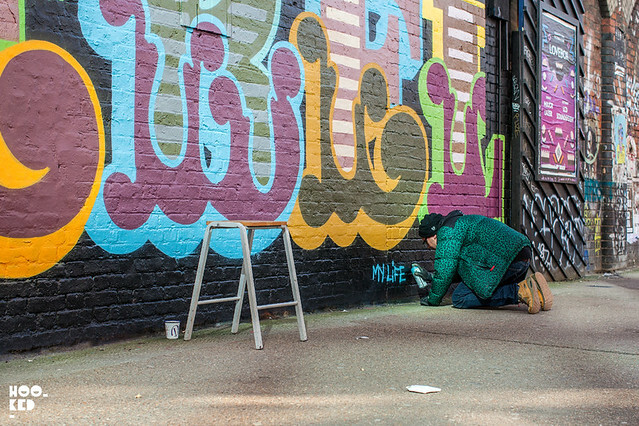 We caught with British street art Ben Eine (Previously on Hookedblog) a few weeks back at work on a new wall on Sclater Street in East London for the Rebel Aliance space also on the street. 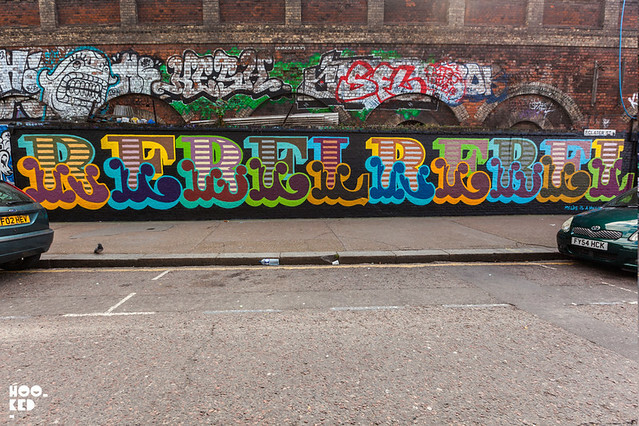 The artist know for his typographic works spent two days working on this Rebel Rebel mural painted in one of his signature fonts in this instance his iconic circus font. Hookedblog have been sitting on our photos of the artist at work holding off until we had managed to capture a clear shot of the entire wall. 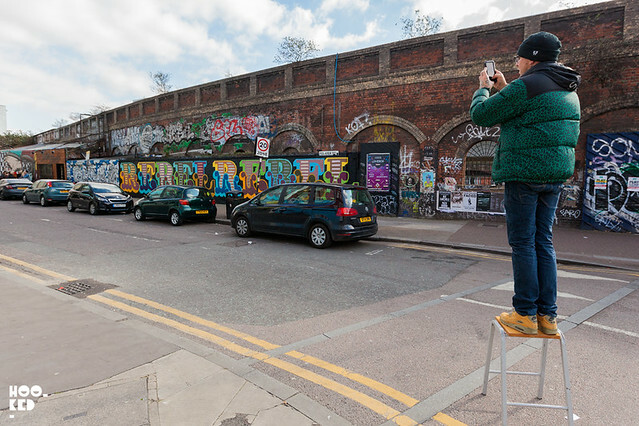 As this is a busy street, a wall this scale nearly always has cars parked where you don't want them and getting a clear shot is always problematic. A number of revisits to this spot did not result in a clear shot and we recently returned from Belgium to discover the wall has been reclaimed by graffiti crew The Rolling People who have had this wall as theirs for a number of years now. 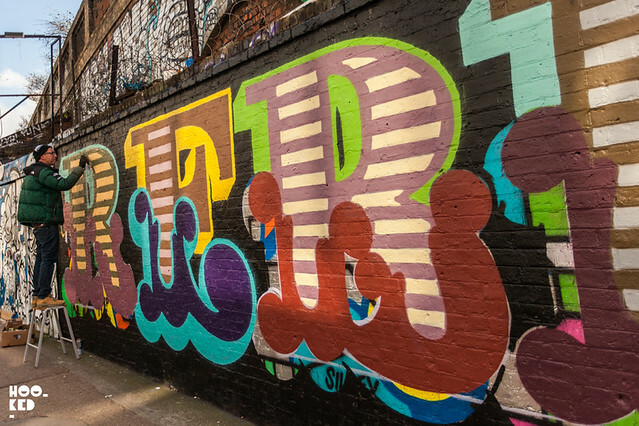 So is the nature of street level murals in London, you blink and they have have been painted over, keep things fresh we guess. 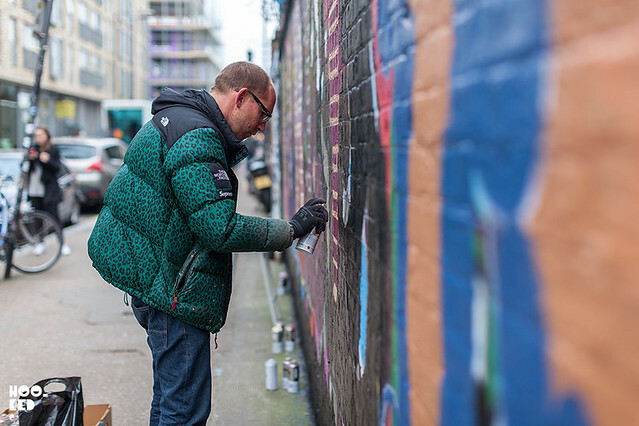 Check out some of the images we did manage to capture of Eine at work. Trying to get a final shot of the wall.